May 1 saw the entry into force of an amendment to China’s anti-corruption laws. With effect from May 1 China is taking an extra-territorial long arm jurisdiction when it comes to the prosecution of bribery of foreign public officials. The new law captures Chinese nationals, companies and residents. A scenario which only months ago was discounted as a possibility by old China hands. Earlier this year, the Standing Committee of the National People’s Congress passed the Eighth Amendment to the Criminal Law of the People’s Republic of China (the “PRC”). The Eighth Amendment came into force on 1 May 2011. Amongst the 49 amendments made in the Eighth Amendment, one provision specifically tackles the issue of Chinese citizens and companies bribing foreign officials. The newly amended Criminal Law now makes it a crime to make payments to non-PRC government officials and to officials of international public organisations for any illegitimate commercial benefit. Before the Eighth Amendment, the bribery laws in China dealt with both commercial bribery and official bribery. Commercial bribery deals with conduct amounting to unfair competition that is committed by individuals or companies. Official bribery deals with bribery of PRC public servants for the return of a benefit. It did not not deal with the bribery of foreign public officials. Two laws prohibited commercial bribery Article 8 of the Anti-Unfair Competition Law (AUCL) and Article 164 of the Criminal Law. Article 8 of the AUCL makes it a crime for business operators to give bribes by giving property or others, for the purpose of selling or purchasing products. Those who violate this law may be investigated and held liable against those who have suffered as a result of the bribes made. Article 164 of the Criminal Law makes it unlawful for one to offer “money or property to the staff of a company or enterprise in order to make illegitimate benefits“. The consequence of breaching this provision depend on the amount of money or property that is being offered. If the amount is found to be “relatively large”, the infringer will be sentenced to a fixed-term imprisonment of not more than three years or criminal detention. However, if the bribery involves a “huge” amount, infringers will be sentenced to a fixed-term imprisonment of “not less than three years but not more than 10 years” and may also be fined. Entities found to have infringed this provision may be fined under Article 164. In addition, individuals within entities who were directly responsible for the commercial bribery will also be penalized accordingly. The key provisions are Articles 385 and 389 of the Criminal Law. Under Article 385, it is illegal for an official to extort money or property from another person or to accept another person’s money or property in return for securing benefits. Also, in Article 389, it is illegal for a person to give money or property to a public official in return for a benefit. Those who are found to be guilty under Article 385 and 389 will be subject to fines and imprisonment based on the value of the bribe taken and the seriousness of the circumstances (imprisonment can be for any length up to life imprisonment). In addition, the court can also penalize the corporate and individual violators by confiscating property. There had been no law before the recent Amendment which prohibited the bribing of foreign officials. The PRC bribery laws only criminalized the paying of bribes to PRC government officials. However, the void has been filled by the newly added paragraph of Article 164 of the Criminal Law, which prohibits the giving of any “property to any foreign public official or official of an international public organization” to seek any “illegitimate commercial benefit“. The application of the new law seems to be quite broad. The Amendment appears to apply to all PRC citizens (even those who are abroad) and all persons physically in the PRC, even though they may not be of PRC nationality. The Amendment also applies to companies, enterprises and institutions organized under the PRC law, as well as any other business entities that are organized under PRC law, such as Sino-foreign joint ventures, wholly foreign-owned enterprises and representative offices. However, the interpretation of certain wording within the Amendment remains unclear, such as “illegitimate commercial benefit”, “property”, “foreign public official” and “official of an international public organization”, which are all undefined. This suggests that the Amendment is intended to have as wide an application and coverage as possible. In the pre-existing provision, the wording of Article 164 prohibits giving property to domestic officials for the purpose of seeking “illegitimate benefits”. On 20 November 2008, a joint opinion was issued by the Supreme People’s Court (SPC) and the Supreme People’s Procuratorate (SPP) to address the uncertainties of the pre-existing laws on commercial bribery. Under the Opinion, to seek “illegitimate benefits” in the PRC Criminal Law for commercial bribery means to “seek any benefit in violating a law, administrative regulations, rules or policy or require the other party to provide aid or convenience in violation of a law, administrative regulation, policy or industry norm“. The wording of the Amendment, on the other hand, is different. The new law prohibits the giving of property to seek “illegitimate commercial benefits”. It is unclear why the Amendment is worded in this way to cover bribes that are only made for commercial benefits, and not bribes made for non-commercial benefits. In the Opinion, the term “property” is defined to “include not only money and property in any kind but also benefits, the value of which may be calculated in money, such as provision of housing decoration, membership cards containing money, token cards (money) and travel expenses.” As the meaning of “property” in the Amendment is not known for certain, the term would presumably be interpreted the same way as the Opinion. The Amendment does not provide any explanation as to who would qualify as a “foreign public official” or “official of an international public organization”. However, the interpretation of the terms may well refer to Article 2 of the United Nations Convention against Corruption (the “UNCAC“), which was ratified by the PRC on 13 January 2006. In the UNCAC, a person who qualifies as a “foreign public official” is “any person holding a legislative, executive, administrative or judicial office of a foreign country, whether appointed or elected; and any person exercising a public function for a foreign country, including for a public agency or public enterprise“. The UNCAC also defines “official of an international public organization” as “an international civil servant or any person who is authorized by such an organization to act on behalf of that organization“. 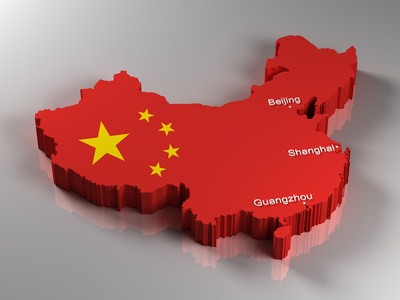 Not only does it subject PRC companies or individuals who live abroad to criminal liability under PRC law for bribery, it will also affect non-PRC companies who are in PRC-organized joint ventures or non-PRC companies who have representative offices in China. There are no affirmative exceptions, exemptions or defenses to the new law. With the Amendment’s interpretive uncertainties, a non-PRC company should be careful in dealing with PRC companies and be sure that proper measures must be conducted when dealing with PRC companies. PRC companies should also be cautious when dealing with non-PRC business partners, especially if they are foreign state-owned companies or if they have close connections to foreign officials. Furthermore, companies should take proper care and conduct due diligence prior to choosing their business partners and should closely monitor the activities within their business organization to ensure no bribes are offered to non-PRC public officials.